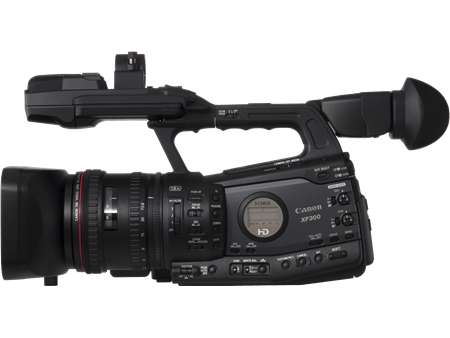 The Canon XF300 Professional Camcorder features 50Mbps MPEG-2 4:2:2 recording to CF Cards for unsurpassed image quality and efficient, robust workflow at an affordable price. It is ideally suited to match the requirements of electronic newsgathering (ENG) crews, independent filmmakers, documentary producers, event videographers and military agencies. Wide DR: enables a dynamic range of 600%. Highlight Priority (Hlt.Pri. ): enables the capturing of footage in a natural gradation by reducing overexposure in bright areas without compressing highlights. S/N Priority (S/N Pri. ): enables the recording of footage with a suppressed noise level.